Exomotive - US Manufacturer of Exocars & Kit Cars | Time for another Caffeine and Octane! Time for another Caffeine and Octane! 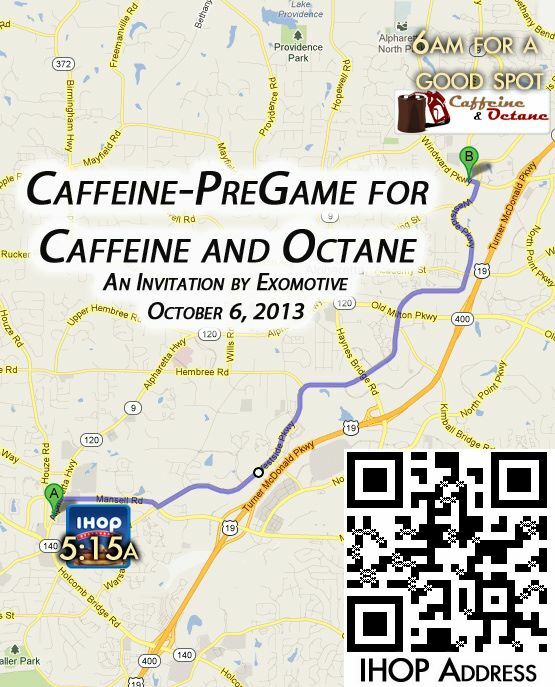 Time for another Caffeine and Octane tomorrow! 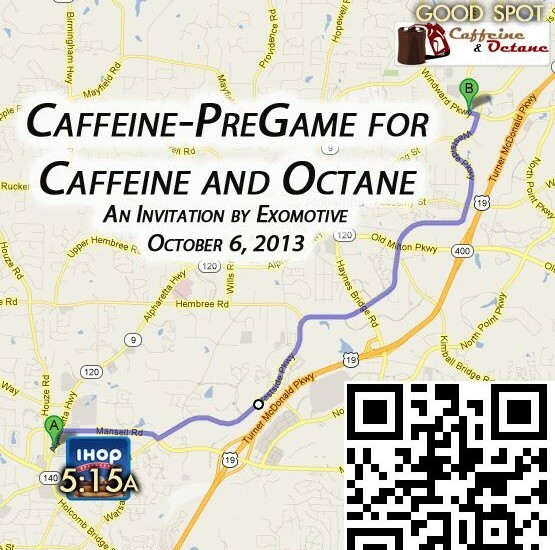 Wake up early and join Exomotive for a Caffeine Pregame at the IHOP at 5:15AM tomorrow morning – 10686 Alpharetta Hwy Roswell, GA 30076. See you there!